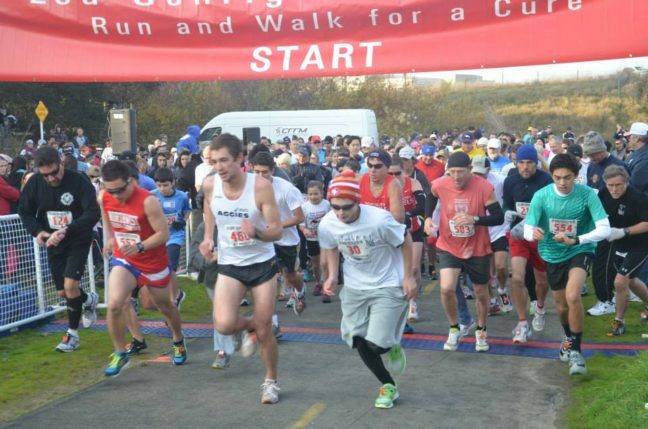 Local runners looking for training opportunities can sign up for the ninth annual Lou Gehrig Roseville Run for a Cure on Jan. 7, which is professionally timed by Rich Hanna and his Capital Road Race Management Team and benefits The ALS Association Greater Sacramento Chapter that is working to cure Lou Gehrig’s disease. Area residents also can sign up for the event, which includes a 5K and 10K walk/run and a half-mile kid’s fun run. Lou Gehrig Roseville Run for a Cure will begin at Sculpture Park in Roseville and travel along the Miners Ravine Trail to Sierra College. The event, which now offers team signups, will include prizes for each age category and a raffle, and will happen rain or shine. To register: www.lougehrigrunroseville.com. The ALS Association is leading the fight to treat and cure ALS, also known as Lou Gehrig’s disease, through global research and nationwide advocacy while also empowering people with the disease and their families to live fuller lives by providing them with compassionate care and support. The local chapter of the organization best known for its Ice Bucket Challenge fundraiser serves 24 Northern California counties. To make a donation, visit www.alssac.org.